Below is information to keep in mind when teaching the content in this unit. This material is intended to help teachers consider the complexities of teaching about the “Final Solution” and to deliver accurate and sensitive instruction. Students’ information about the Nazi extermination camps is often in the form of dates, place names, and numbers. While it is important for students to realize that millions of Jews died at the hands of the Nazis in the extermination camps, it is equally important that they see the victims of the Holocaust as individuals. They were mothers, fathers, sons, daughters, and grandparents; young and old; tradesmen, teachers, students, scientists, and doctors. They were artists, musicians, and poets. Reflecting on the Holocaust as a human story will make it more meaningful in students’ lives and will make them more likely to take the messages that can be learned from it to heart. The six extermination camps were located in occupied Poland. There were several important reasons for this: Poland had the largest population of Jews before the war, and Poland was considered a location where the Nazis could do as they pleased, without any concern for the Poles, who were considered inferior. In addition, Poland was far from the eyes of the Western Allies, yet it had a well-developed system of trains that made transporting Jews from all over Europe to Poland feasible. Even though these camps were on Polish soil, the Poles were not responsible for initiating the camps nor for the policies carried out in them. These were Nazi German extermination camps in Poland. In this unit, students learn about the amazing struggle for survival of Jews imprisoned in the extermination camps. It is important that students realize, however, that the vast majority of Jews who arrived at the Nazi extermination camps were murdered. Only a few were chosen to work and of those, very few survived the harsh conditions, the beatings, the lack of food, extreme weather, and forced labor. This unit contains very difficult and complex subject matter. Teachers are encouraged to be sensitive to students’ reactions and to assure them that experiencing a range of emotions—anger, sadness, outrage, melancholy—are all natural responses to this kind of material, and that they should feel free to express and discuss those feelings with others. Caution should be exercised in using graphic images. The “Final Solution” is the story of Jews in the time of the Nazis. In this unit, students learn about the extermination camps where most Jews were murdered. This is not to minimize the suffering of other groups and millions of individuals at the hands of the Nazis. 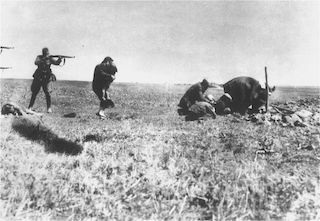 The uniqueness of the Jewish fate is that the Nazis strived to murder all Jews and succeeded in murdering one-third. No other group was considered subhuman according to Nazi ideology and therefore deserving to be extinguished. The purpose of this unit is for students to learn about one of humanity’s darkest chapters—the systematic mass murder of the Jews that came to be known as the “Final Solution of the Jewish Question.” This includes learning about the Einsatzgruppen (mobile killing squads), the Nazi extermination camps, and the perpetrators and collaborators who took part in the murder. 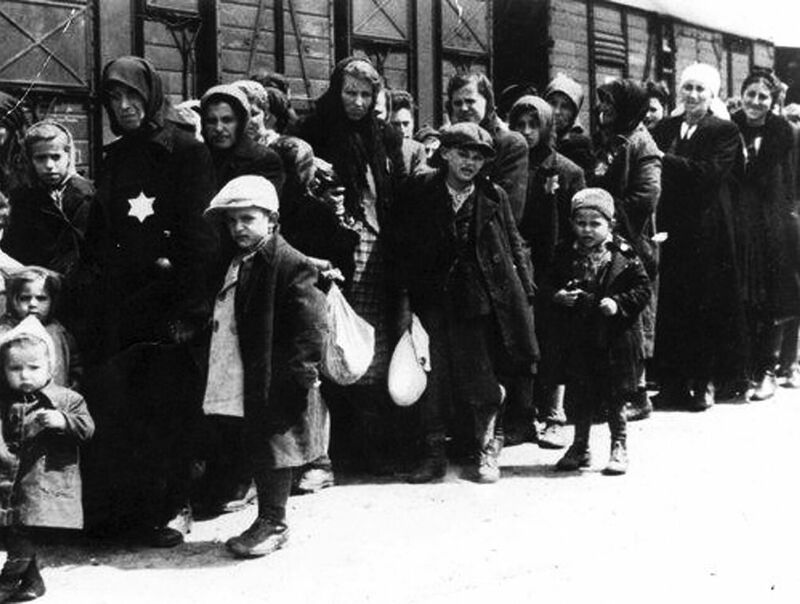 This lesson also provides an opportunity for students to learn how Jews attempted to maintain their humanity in the camps despite the inhumane conditions and brutal treatment they faced. Explain the purpose of the mobile killing squads and extermination camps in Nazi Europe. Name the six extermination camps in Nazi-occupied Poland. 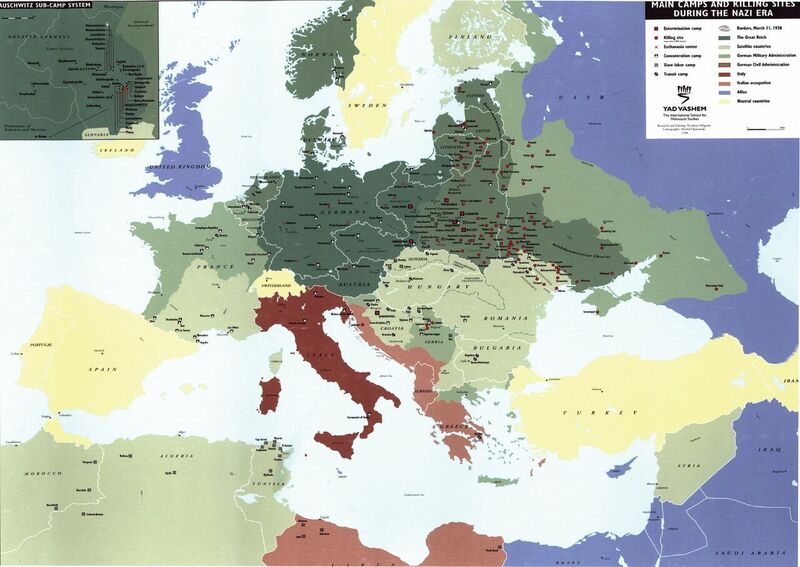 Summarize the role of Nazi ideology in the location of the extermination camps. 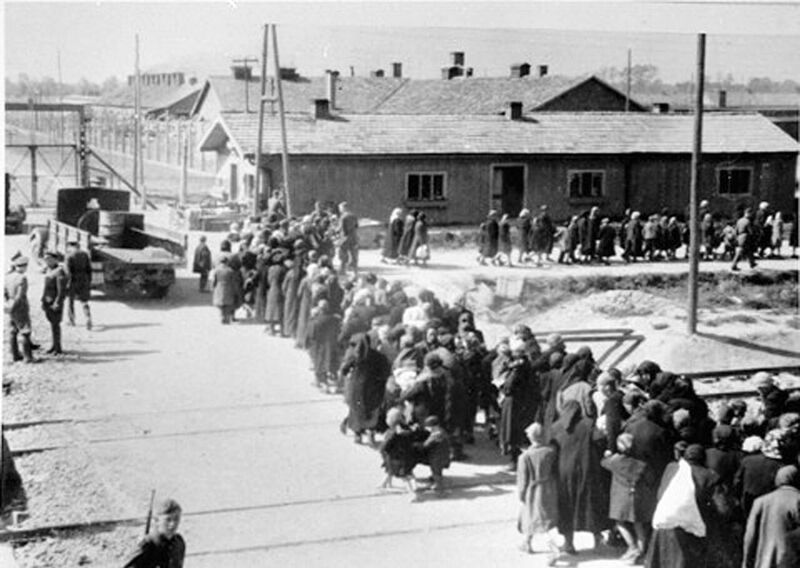 Describe the living conditions for people imprisoned in the extermination camps. Interpret a variety of primary sources—visual history testimony, artifacts, artwork—used to document conditions of life and death in the camps. Identify specific ways that Jews imprisoned in the extermination camps attempted to maintain their humanity. Identify ways that individuals and groups act responsibly or evade responsibility. 1 Help students develop a framework for studying the “Final Solution” by using the K-W-L strategy. Have students create a graphic organizer with three columns labeled “K” (What I Know), “W” (What I Want to Learn), and “L” (What I Learned). Instruct students to list what they know about the “Final Solution” and the extermination camps in the first column and what they would like to learn about this topic in the second column. Tell students that as they listen to the testimonies and participate in the activities that follow, they should go back to the chart and add information to the “L” column. 2 Introduce students to [L]Ellis Lewin[/L] and [L]Abraham Bomba[/L] and then show their clips of testimony. Follow with a discussion using the questions below. What are your feelings after hearing these testimonies? 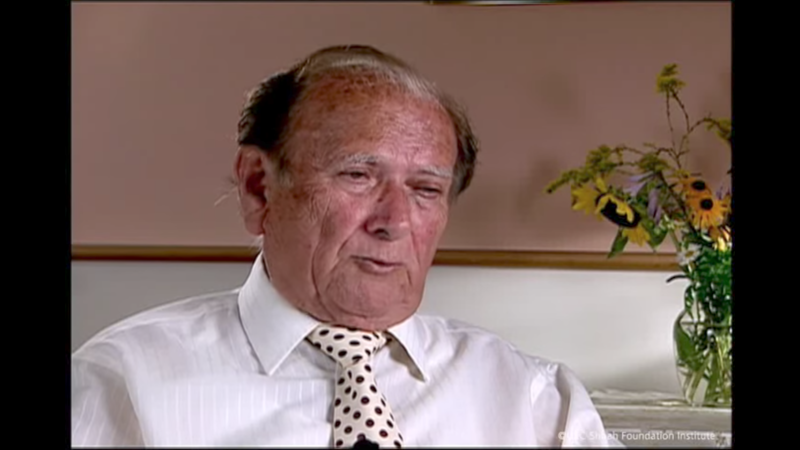 Both Ellis Lewin and Abraham Bomba talk about the sounds that they remember hearing upon arriving at the extermination camps of Auschwitz and Treblinka, respectively. What are some of the sounds they describe? How does Ellis describe the pace at which things moved when the train arrived at Auschwitz? Why does he think the Germans moved things at such a rapid pace? Why didn’t Ellis’s father want Ellis to hang on to him? What were the last words Ellis remembers his father saying to his mother? What is Ellis’s last image of his mother? How many people does Abraham say were on each train going to Treblinka? What is the significance of the description that Abraham shares about the people being forced to undress? Abraham explains that out of 18,000 people, only five were taken out to work. How was it that he was one of the five? In what ways are these two testimonies similar? In what ways are they different? After watching these two testimonies, is there anything that you can add to your K-W-L chart? If so, what are you able to add? In addition to being forcibly torn away from the rest of their family, what else did Elie Wiesel and his father “leave behind”? 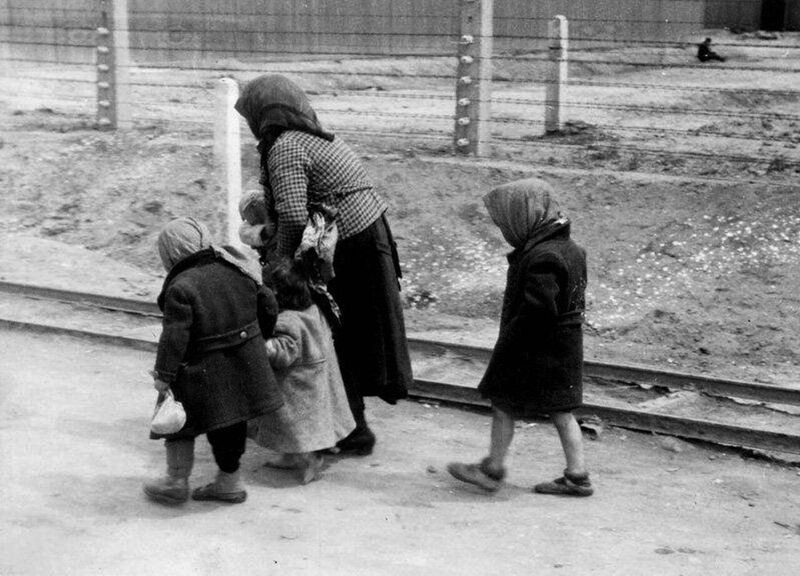 In this excerpt from Elie Wiesel’s Night, how did the Nazis dehumanize Jews? Why do you think the older men did not want the younger men to revolt? Why were Elie Wiesel and his father told to lie about their ages? Choose one moment identified in the excerpt that you think was a defining moment or a turning point in Elie Wiesel’s life. How did this moment change his perception of the world, relationships, life, other people, and even himself? How is Elie Wiesel’s account of arriving at Auschwitz similar to the account given in Ellis Lewin’s testimony? What is the value of having both of these accounts available? 4 Prior to distributing a copy of the handouts Poems from a Camp Survivor and Appell, 1944, provide students with background on Dan Pagis and Zinovii Tolkatchev available in the corresponding Note. 5 Divide the class into small groups and assign each group one of the poems or the piece of art. Working in their small groups, have students discuss the questions below (prepared in advance on the board or on a handout) that pertain to the piece they have been assigned. After completing the small-group assignment, have groups share their observations and analysis with the rest of the class. Encourage students to listen for any differences in how groups with the same document interpreted the words or images. What is the biblical story of Cain and Abel? Why do you think Dan Pagis chose Eve, Abel and Cain for the poem “Written in Pencil in the Sealed Railway-Car”? What is the role of each one of them? Eve appears to be attempting to convey a message to Cain. What might that message be? Read “Written in Pencil” several times. What is the feeling that you get reading this poem? What is the significance of the fact that Dan Pagis specifies that the letter written in the sealed railway car was written in pencil? What do you think Pagis was trying to say with the line, “No, no: they definitely were human beings” in the poem “Testimony”? What do you think Pagis was trying to convey with the lines, “I was a shade. A different creator made me”? Why do you think Dan Pagis titled this poem “Testimony”? What do you notice in Appell, 1944? What message(s) do you think the artist was trying to convey? How do you feel looking at this piece of art? How is studying a piece of art (e.g., a painting or a drawing) different from studying a photograph? What feelings emerge from all of these works? What do you learn about the artists through their works? What is communicated through poems and art that cannot be communicated in a textbook? What does Itka mean when she says she “felt the bitter taste of slavery”? What is the significance of her saying, “I understood what my forefathers—what the Jews in Egypt— must have felt like”? What reason does Itka give for “writing a poem in her head”? What did Itka say “writing the poem” helped her realize? 7 Ask students what an artifact is and what kinds of things are considered artifacts. Have students consider how, like diaries, photographs, government documents, etc., artifacts are primary sources. Ask them to brainstorm a list of items that might be considered artifacts to a historian (e.g., tools, jewelry, postcards, manuscripts) and explain what might be learned about people, institutions, or cultures from studying artifacts. 8 Distribute the handout Life in the Shadow of Death and review the material with students. Follow with a discussion using the questions below. Which of the items on this handout would you identify as artifacts and why? If you did not identify the photograph as an artifact, why didn’t you? How do these seemingly simple items (e.g., a comb) take on additional meaning when studied within the context of the Holocaust? What do we learn from studying the comb? The prayer book? The photograph of Annie Fisk Levinger? How do these items help us understand what some inmates in the extermination camps were thinking? Why do you think this handout is titled “Life in the Shadow of Death”? 9 Distribute Excerpt from Man’s Search for Meaning and read the selection together. Ask students to share their thoughts about the selection and then continue with a discussion using the questions below as a guide. How does Viktor Frankl explain transcending his experience in the camp? What does Frankl want us to understand when he says: “I did not know whether my wife was alive, and I had no means of finding out […], but at that moment it ceased to matter. There was no need for me to know; nothing could touch the strength of my love, my thoughts, and the image of my beloved”? After listening to Itka Zygmuntowicz’s testimony, studying the artifacts/photograph, and reading the selection from Viktor Frankl, what do you think made it possible for people to cope with life in a world that dehumanized them and denied their existence? Why is it important for those studying the Holocaust to understand how Jews struggled for life and dignity in a world of dehumanization? 10 Have students review the K-W-L charts that they developed at the beginning of this lesson and share what they have added to the “L” column. Encourage students to add additional questions to the “W” column, reinforcing the idea that learning about a complex topic like the Holocaust often results in even more questions. After listening to Itka Zygmuntowicz, what image emerges for you regarding what life was like in the extermination camps? What are some examples of daily humiliation and intimidation that camp prisoners had to endure? What experience does Nathan Offen share in his testimony? Nathan continues to show emotion while he recounts experiences in his testimony. Why do you think after so many years he continues to convey such great emotion? What are some of your emotions as you listen to these testimonies? What do you learn from hearing the survivors talk about their experiences that is different from what you learn from textbooks? 3 Review the definition of “perpetrator” available in the Glossary. 4 Distribute Interview with Franz Stangl. After reading the interview together, use some or all of the questions below in a whole-group discussion. How would you characterize Stangl’s ability to see human beings as cargo or cattle? Why do you think he is unable to make the connection between the children who arrive on transports and his own children? Do you think there should be a connection? Explain your thinking. Do you think Stangl had a choice in the decisions he made? Explain why or why not. How does Stangl explain working for the system? Are there any emotions expressed in the interview? If so, what are they? If not, how might this lack of emotion be explained? In the past, some regarded perpetrators such as Stangl as “human beasts.” Today, we realize that they were human beings. What were the possible reasons for people to regard the perpetrators as “beasts”? What purpose did it serve? In his poem, “Testimony,” Dan Pagis writes, “No, no, they definitely were human beings.” What do you think Pagis may have been trying to convey to readers with this line? 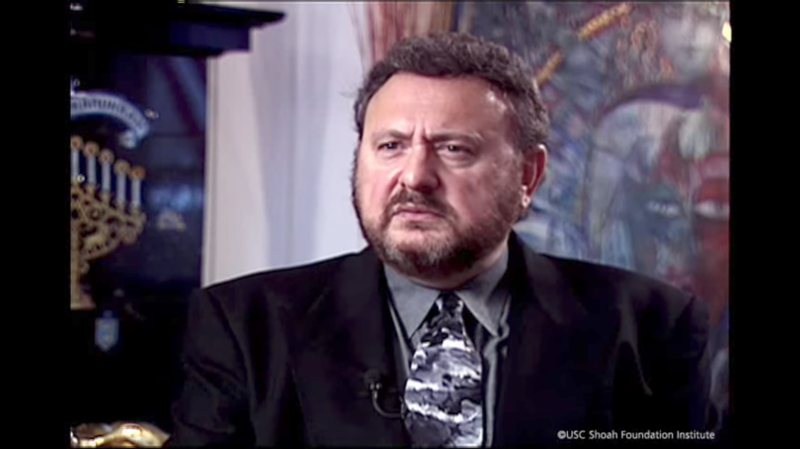 Think about the earlier question, “How was it humanly possible?” What, if anything, can you add to your thinking about this question in light of the Franz Stangl interview? 5 Divide the class into four groups and distribute The “Final Solution” handout. Assign one section of the handout to each group. Have group members read their section of the handout together and prepare an oral presentation for the rest of the class on the material. Instruct each group to also develop one or two discussion questions based on its section of the reading material. 6 Have each group present its material to the class. After all groups have made their presentations, have a whole-group discussion using the discussion questions that the groups developed and/or the suggested questions below. In what way did the invasion of the Soviet Union reflect the basic tenets of Nazi ideology? 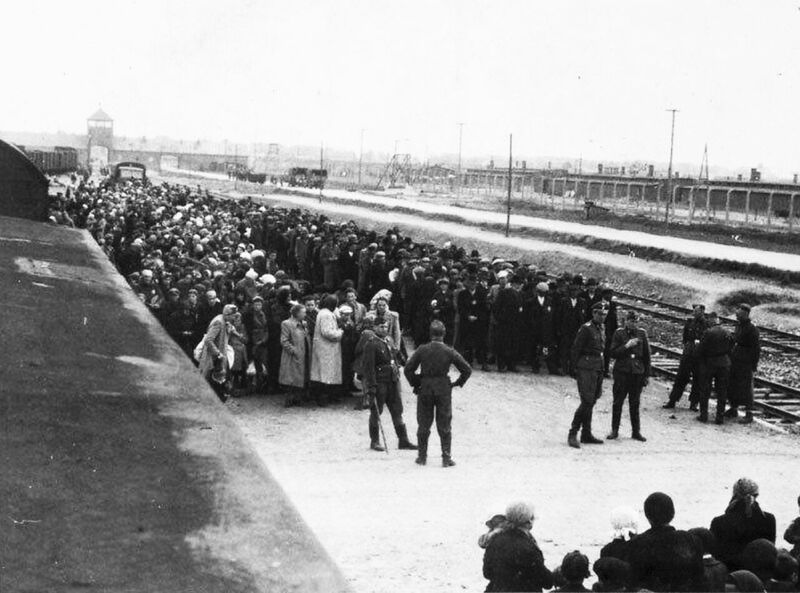 What was the difference between a concentration camp and an extermination camp? Why were the extermination camps located in Poland? What role did Nazi ideology play in this decision? In what ways did the Nazis apply modern technology to the mass murder of the people in the camps? How do we understand the word “modern” in the context of the Holocaust? What does modern mean to you? Does this term always imply enlightenment and humanity? Why or why not? The Nazis used deception in the extermination camps. What do you think was their purpose in using deception? As noted in the reading, “hundreds of thousands of people were involved, either directly or indirectly, in implementing the ‘Final Solution.’” In your opinion, were any of these people exempt from responsibility? Explain your thinking. 7 Display the map, Nazi Camps and Sites of Mass Execution, and have students identify which camps the survivors talked about in their testimonies. Allow time for students to make additional observations based on the map. 8 Share information about The Auschwitz Album using information in the corresponding Note. Provide students an opportunity to study and discuss their thoughts and feelings about each photograph from this album using the questions below. What are your feelings as you look at these photographs? What do you see? What do you “hear”? Looking at the photographs together, what “story” do they tell? What does it mean to be “held responsible”? What does it mean to “accept responsibility”? How is “accepting responsibility” different from being “held responsible”? What are some ways that you witness people acting responsibly? What are the benefits to society when people act responsibly? What are some ways that you witness people evading responsibility? What is the potential harm to society when people evade responsibility? Explain who you believe is responsible for making sure that something like the Holocaust never happens. 10 Have students share their thoughts and feelings about what they have learned about the “Final Solution.” Remind them that studying a topic as complex as the Holocaust often leads to additional questions. Have students identify a specific question that they have about the “Final Solution” and research the answer using reliable sources (ushmm.org; yadvashem.org; iwitness.usc.edu). Have students post both the question and answer on the class wiki, website, or blog, or submit to you as a culminating activity. In her testimony, Itka Zygmuntowicz recites the poem she wrote in Auschwitz—a poem about freedom. Many children (and adults) used art as a way to spiritually survive the experience of the ghettos, and in some instances, the extermination camps. Write about the importance of the arts in your life and how music, painting, writing poetry, or something similar has helped you during a particularly difficult time. Much of this unit focused on social and personal responsibility. As a result of our class discussions and readings, are there any situations in your life for which you feel you should take more responsibility? If so, how do you plan on taking responsibility/action? Throughout this unit you have considered two important questions regarding the Holocaust: How was the Holocaust humanly possible? and Why did the Holocaust happen? Respond to either or both of those questions in light of the material you have studied. In “Hunger Camp at Jaslo”, Polish poet Wislawa Szymborska writes: “History counts its skeletons in round numbers. A thousand and one remains a thousand, as though the one had never existed…” How do you interpret these lines in light of learning about the “Final Solution”? What is the poet cautioning us to remember as we learn about the Holocaust? Why is it important to give faces to the victims of genocide and not just think of them in terms of numbers? The additional activities and projects listed below can be integrated directly into a lesson or can be used to extend a lesson once it has been completed. The topics lend themselves to students’ continued study of the Holocaust as well as opportunities for students to make meaningful connections to other people and events, including relevant contemporary issues. These activities may include instructional strategies and techniques and/or address academic standards in addition to those that were identified for the unit. 2 Distribute the student handout, The First Ones. Read the short biography of Yitzhak Katzenelson together. You may then choose to have students read the poem silently, in groups, or as a whole class. Once they have read the poem, discuss it together, using some or all of the discussion questions below. Why do you think the Nazis would go after the children first? How could children be “dangerous” to the Germans? Katzenelson describes the two-year-old girl he sees as looking like a “grandma of a hundred years.” Why might such a little child seem like an old person? Why do you think he says that his people “drew consolation” from the children? How might their children be a consolation to Jews? How does Katzenelson end the poem? Is he hopeful or hopeless? How do you know? 3 Provide students with a copy of the Pyramid of Hate. After reviewing the material together, tell students that you want them to consider whether “genocide” should be added to the top of the pyramid or if there are other changes to the graphic that they feel are warranted after learning about the “Final Solution.” Instruct students to prepare a revised “pyramid of hate” or prepare a completely different graphic representation that they feel more accurately depicts the escalation of hate. The revised graphic should be accompanied by a short explanatory text that explains the reasoning behind adding genocide to the top of the pyramid or changing the graphic entirely. Students should also be given the option of keeping the graphic exactly as it currently appears, but they must explain why they feel there shouldn’t be any changes. 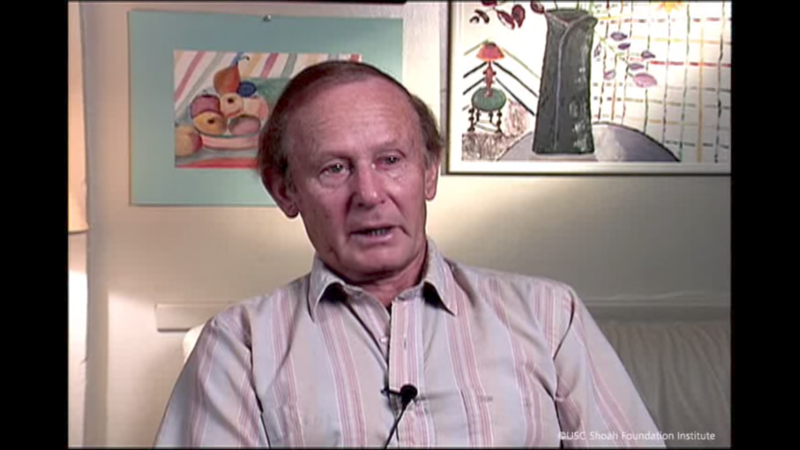 4 Professional and amateur artists of all genres recorded what they saw and experienced during the Holocaust. Some inmate art was sanctioned by camp or ghetto authorities for propaganda purposes or to satisfy Nazi officials who demanded inmates produce personal works of art for their satisfaction. Clandestine art was created at great risk to the artist’s life. Thousands of these clandestine pieces, created by children and adults, were discovered in ghettos and camps after liberation. 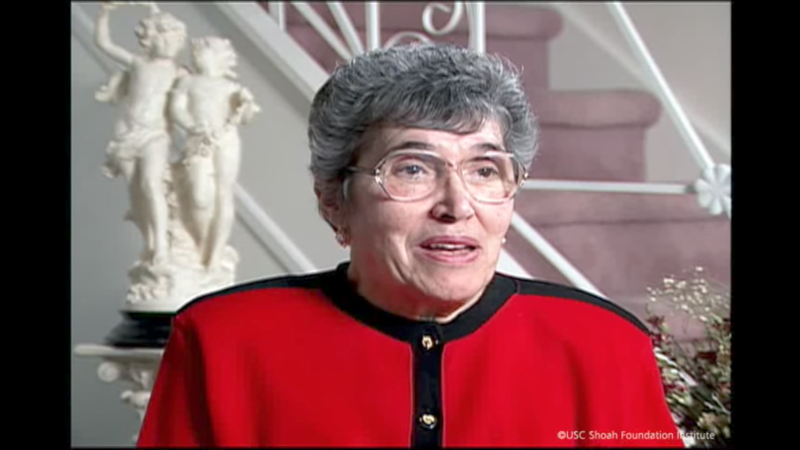 Artists who survived the Holocaust often created works following liberation to document what they had experienced or to share their interpretations of what the Holocaust meant not only to them personally, but to humanity. Have students research art that was created either during or following the Holocaust and identify one piece that is particularly significant or moving to them. In a written, oral, or multimedia report, instruct students to share information about the artist and the piece of art they chose, provide background on the circumstances under which the piece of art was created, the medium used, etc., and explain why they chose this particular work of art. Artists that students might want to consider researching include Felix Nussbaum, Fernand Van Horen, Yehuda Bacon, Esther Lurie, Alexander Bogen, Hirsch Szylis, Samuel Bak, Bedrich Fritta, and Petr Ginz. Encourage students to refer to Yad Vashem website (yadvashem.org). 5 Divide students into small groups and have them research one of the topics below or identify their own topic and prepare a presentation in a format of their choice to share with the class or post on the class website or wiki. Encourage students to include primary source materials in their presentations and to consult the United States Holocaust Memorial Museum website (ushmm.org), the Yad Vashem website (yadvashem.org), and IWitness (iwitness.usc.edu). Encourage students to learn about all six of the extermination camps—Auschwitz-Birkenau, Belzec, Chelmno, Majdanek, Sobibor, and Treblinka. 6 Many works of fiction have been written that center on a person’s experiences during the Holocaust. These texts often evoke strong emotion, heighten awareness, and provide opportunities for the reader to ask him/herself complex questions—all positive outcomes. Even though such books are clearly identified as fiction, many may still reflect historical inaccuracies in terms of time, place, and events that can lead to an erroneous understanding or representation of what took place during the time period. Have students work together to develop a rubric for assessing the historical accuracy of works of fiction about the Holocaust. They should identify what specific dimensions (chronology of events, language, depictions of people and places, etc.) upon which a work should be judged and a scale for scoring how successful the author is in achieving each of the characteristics they have identified. After the rubric has been developed, have students read or re-read— either individually or in groups—one of the books listed below or another similar title and apply the rubric that they have developed. If they are unsure if something is accurate, they will need to conduct the necessary research to make an informed decision. After completing the assignment, have students compare their findings/completed rubrics and draw conclusions regarding the possible benefits and challenges of using fiction to learn about the Holocaust.